In April 326 BCE, Alexander arrived in Taxila and it is from that time we get the first real notice on this wonderful city. Several members of the Macedonian’s staff wrote diaries that were subsequently published. Some of those works are lost entirely, others preserved by later historians. Whatever the case, they provide a fantastic window into the city. Taxila, then was a city of Buddhists and Brahmans and of yet another class that did not bury its dead. They exposed them in isolated places for the bones to be picked clean by the birds. This was a clear reference to the followers of the great Zartusht or Zoroaster — the people we today know as Parsees. We are told that the Brahmans were a very powerful class, actively engaged in the political life of the city and serving as counsellors to the court. 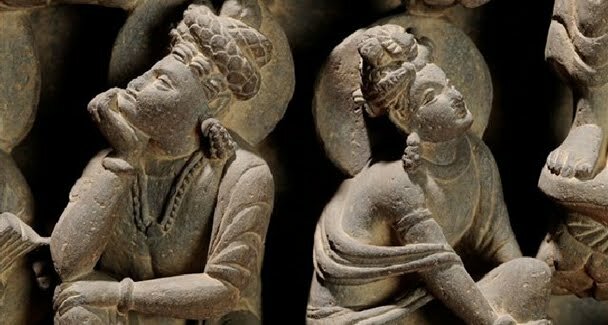 With such magnificient history in the prehistoric as well as post Christian eras, even today Taxila is home to over 150 sites/mounds/monuments of archaeological significance that remain unexplored. With each site in the ancient land of Taxila as rich as the other, if not richer, archaeologists are surveying to begin excavation work on their next project. A bureaucrat, mutated into an ‘intellectual’, hogs the waves of an Urdu television channel and tells the ignorant television viewing public what it wants to hear. One of his not-so-recent gems was about the country that is now Pakistan being a wild and savage land until illuminated by Islam in the early 8th century. That, until that time, this land had no culture or sophistication. The man is a liar and a charlatan. In April 326 BCE, Alexander arrived in Taxila and it is from that time we get the first real notice on this wonderful city. Several members of the Macedonian’s staff wrote diaries that were subsequently published. Some of those works are lost entirely, others preserved by later historians. Whatever the case, they provide a fantastic window into the city. Taxila, was a city of Buddhists and Brahmans and of yet another class that did not bury its dead. They exposed them in isolated places for the bones to be picked clean by the birds. This was a clear reference to the followers of the great Zartusht or Zoroaster — the people we today know as Parsees. We are told that the Brahmans were a very powerful class, actively engaged in the political life of the city and serving as counsellors to the court. As for the Buddhists, Greek writers refer to them as ‘sramanes’. Clearly this was a mispronunciation of ‘sramanera’, or a new entry training to be a monk. Though there is no dearth of ruins of post-Alexander Buddhist monasteries in town, we can take this as proof of Taxila being a centre of learning even before the westerners descended upon it. There is no notice of animosity between followers of the various religious persuasions who lived in total harmony. Taxila, if we are to believe Alexander’s general Nearchus, was a city of peace and the rule of law. Nearchus notes, with evident awe, the rectitude and decency of the townspeople who made all monetary transactions without “either seals or witnesses”. Yet the courts of law were without any cases of fraud! Mendacity was unheard of and when folks went away, either for work or pleasure, they left their homes unlocked and unguarded for theft was not known in Taxila! Their shoes had thick soles to make the wearer seem taller and the clothing of the rich men was worked in gold thread and studded with precious stones. When they went about their business out of doors, attendants shaded them from the harsh Punjabi sun with broad parasols. Polygamy was common among the rich. But parents with daughters of marriageable age and unable, because of poverty, to wed them off, exhibited the damsels in the town square. There the champions of Taxila fought boxing matches and the winner’s prize was the hand of the girl in marriage. Arrian called Taxila “the largest [city] between the Indus and the Jhleum” and we can tell from the above description of its richer classes that it was indeed so. Sitting at a spot that made it an important staging post for caravans, it picked off large amounts in custom duties. But much of its wealth also came from its rich agriculture. According to Nearchus, there was no shortage of food in Taxila. But the noblest aspect of Taxilian society was the respect it bestowed upon its learned men. The philosophers, whose fame had reached Alexander months before he got to Taxila, were held in the highest possible esteem by the Taxilians. They lived outside town, but whenever they wandered in, people mobbed them, oiling their hair and massaging their limbs, begging them to come into their homes so that they could hear their discourse. Taxila was a city of high culture that valued true learning. And we have a mendacious bureaucrat pretending to be an intellectual who tells us otherwise. The writer Salman Rashid is Fellow of Royal Geographical Society. His travel writing appears regularly in leading English language journals and he is the author of eight travel books including The Apricot Road to Yarkand and jhelum: City of the Vitasta. Is there any way to contact Mr. Rasheed? I am an anthropologist who is presently interning with an organization that has some ideas to do our part in reviving Taxila to attempt a conservation of these treasures from the past. We would be indebted to him if we could learn more from him. Would appreciate if you could elaborate bit more about the organisation that endeavours to work on conservation of the archeological treasures of Taxila. Writer Salman Rasheed lives in Lahore and is as much passionate about Taxila’s golden past as personally I myself am. Once I have some introductory brief from you, I will pass on your intrest to him or otherwise pass on his contat details. We are a development organization located in Islamabad currently involved in multiple projects with different institutions. Our interest is to bring an awareness of our history and traditions. This id does not seem to work. Is there any other way?